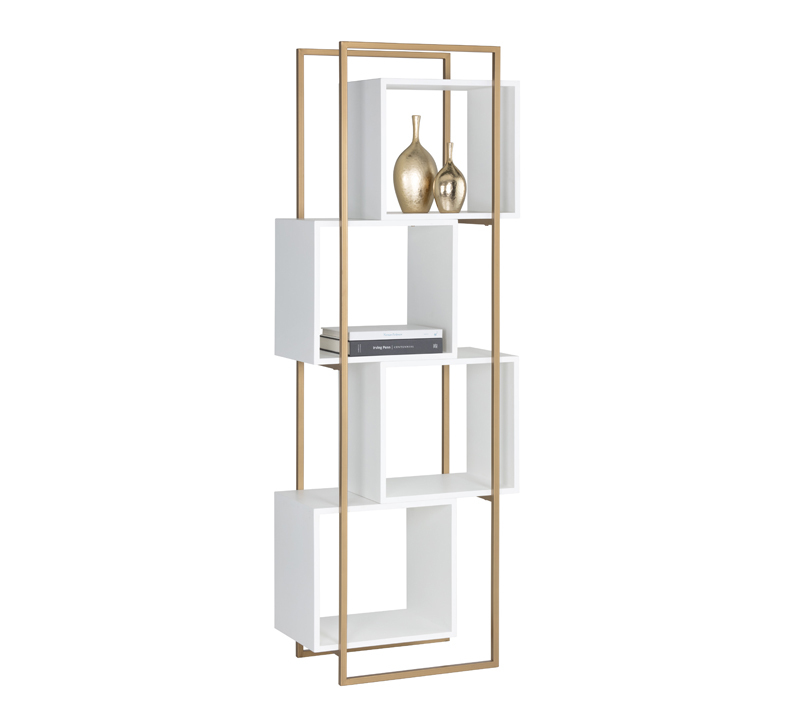 The playfully designed Jigsaw bookcase from Sunpan will bring youth and style to living, lounge and office spaces. White concrete cubes appear as if they are floating within the brown gold frame for a light and airy look. Pair in multiples for dramatic effect. Anti-tipping kit included.